Home/Concerts/Pilgrimage Music & Cultural Festival in Franklin, TN. Sat. & Sun. Sept. 22nd & 23rd, from 10am to 8:30pm. 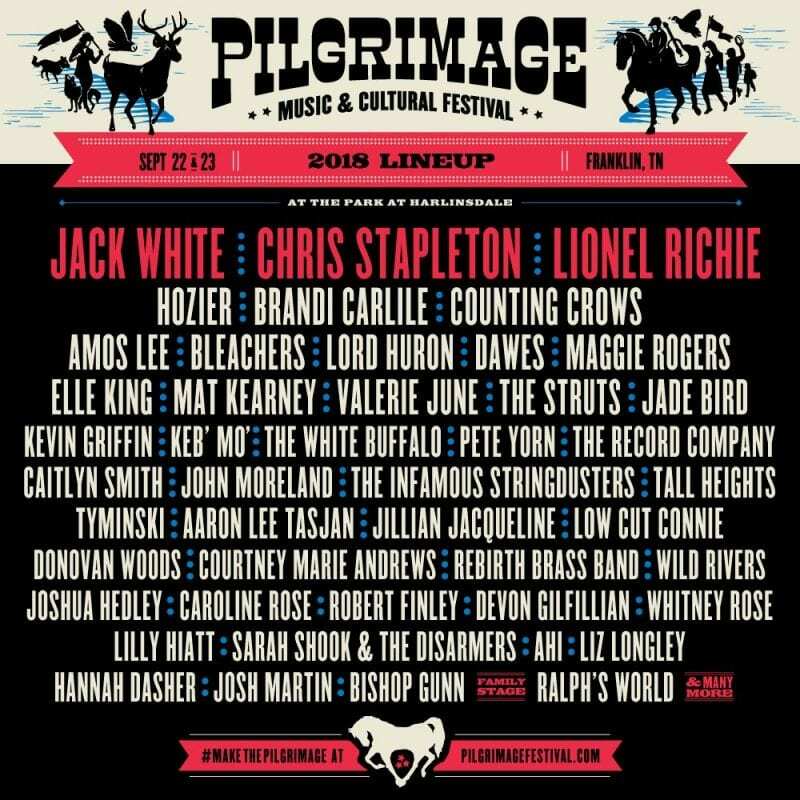 Pilgrimage Music & Cultural Festival September 22 and 23, 2018 in Franklin, TN right outside Nashville. Music lovers will #MakeThePilgrimage to The Park at Harlinsdale for two unforgettable days of music, art and culture set against the natural amphitheaters. Pilgrimage Music Festival on Facebook; @PilgrimageFest on Twitter.